Having missed most of 2015 through injury, Grant Fraser documented his return to racing in 2016 in an a #racerlife instagram series for the team instagram feed and a longer version for the team blog here. It’s been 7 month since I last turned a crank in a racing situation and a lot has changed in that time. I’m a racer through and through and have been competing in closed circuit motorcycle races for years now. So the transition to cycling and especially crit races was not too difficult in terms of mindset. Fitness on the other hand might be an issue. Crashing the motorcycle often leaves me injured and unable to train properly. So with good bike time in December, January and February I thought it would be a good idea to put this to the test. 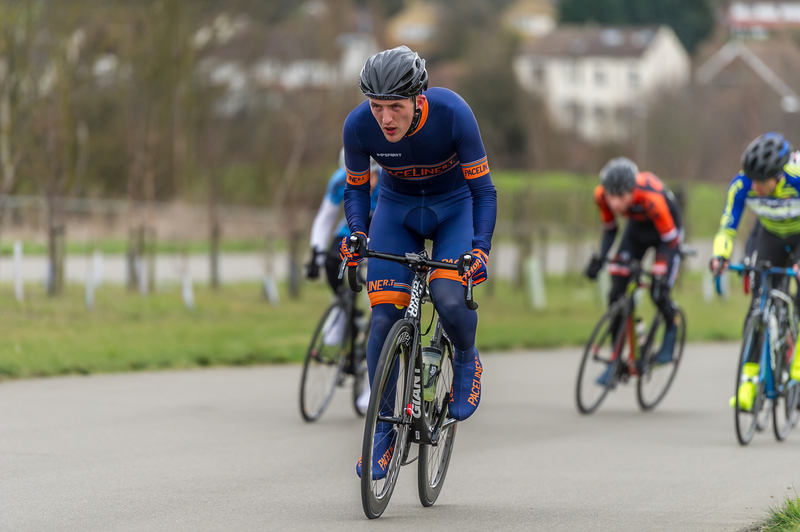 Choosing to race Cyclopark in Kent I knew would be a challenge for me. I’m a sprinter and that is all I really have in my cycling arsenal. Cyclopark has a long drag of a climb and technical turns. The motorcycle racing actually gives me reasonable bike handling skills, so the technical corners didn’t concern me. The draggy climb however did. 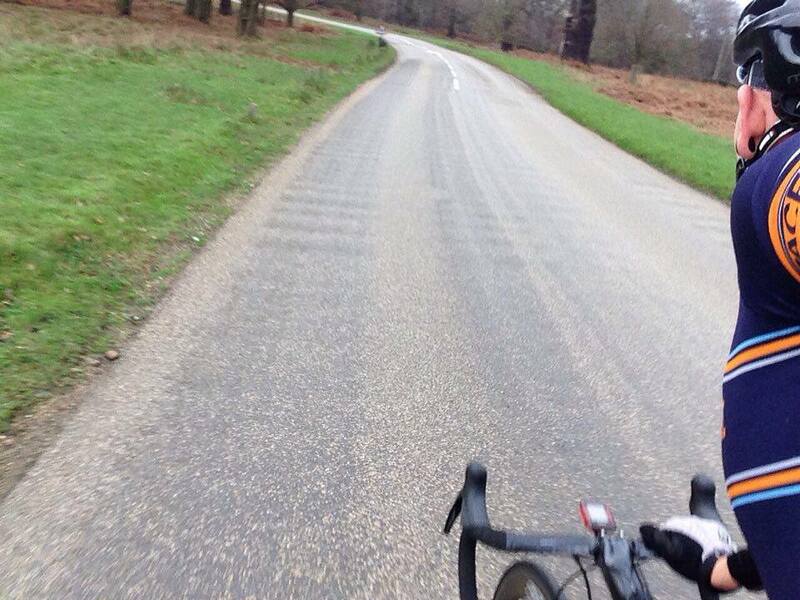 I headed to Richmond Park for some draggy hill reps. Hard efforts on the climbs and easy on the flats. Richmond Park is beautiful and I feel its a nice place to train if you time it right. Traffic was strangely calming that day and I even got to chat to a fellow paceline rider for a while. Preparing for race day on Saturday, I think it’s always good to give the bike a once over just to make sure everything is in top condition. I gave the chain a clean and re-lubed it. Whilst working on that I noticed the rear pads were low. I swapped them out for some new ones and also added a new rear brake cable at the same time. 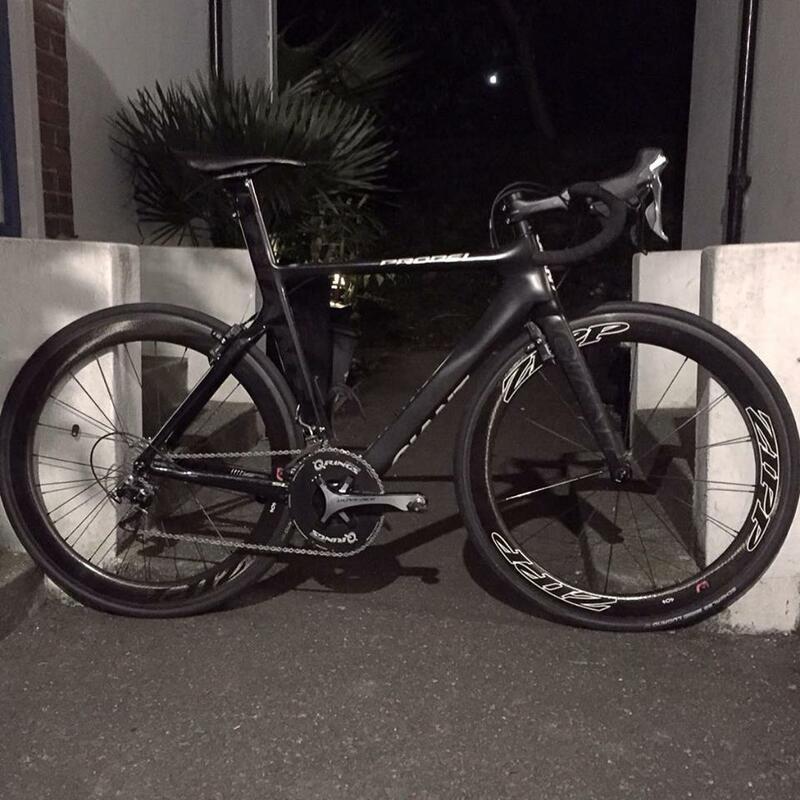 The Giant Propel brakes are a special kind of sensitive and setup is key. The bike’s ready, but am I? My Giant Propel all clean and ready to race. Getting mentally and physically prepared for racing is one thing. Remembering all the kit is something else. I start at my feet and work up mentally dressing. 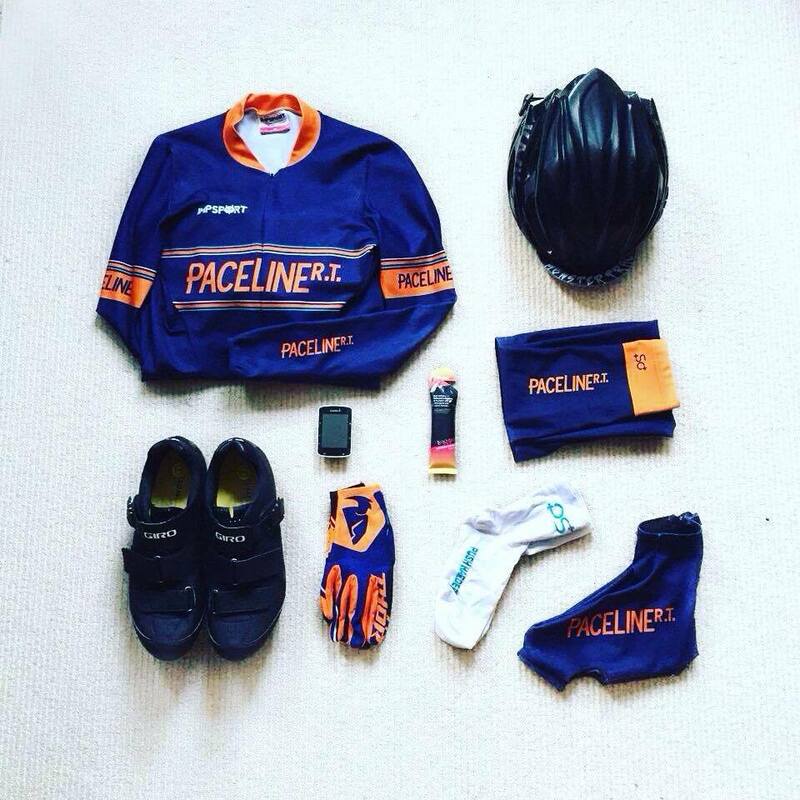 Then move on to the extras: Socks, Shoes, Overshoes, Leg Warmers, Skinsuit, Gloves, Helmet, Garmin, Energy Gel, Race Licence. Preparation is key. Don’t want to forget something come race day! Arriving at the circuit and getting ready I felt good. I’d just dropped two teammates off at Gatwick for a weeks training in the warmth and sun of Spain, and there I am quietly freezing in my skinsuit in cold windy Gravesend. The race started at a high pace, but two laps in and the speed dropped off massively, almost to a club run pace. No one was willing to work and there were constant moans from people in the 2nd row asking others to work harder. I’d been told by teammates that I needed to stay at the front of the group to avoid the risk of getting dropped. The technical bends have a tendency to elongate the pack and can turn your race into a grim interval session if you’re at the back. I somehow go shot to the front of the group out of a turn and was then left there to work for two whole laps without help. It wasn’t a good thing for me, so I dropped the pace and eventually people came through. I recovered, only for the same thing to happen again. A VC Londres rider went for a solo break, and no one responded. I thought it needed a little bit of effort as he had gapped us by the whole climb in just 2 laps. So back on the front I went. Stupidly turning myself inside out! It was a rookie error as I used up all my energy with 5 laps to go. I kept on working, but there was not enough in the tank to catch back on. In the end I was well off the back of the bunch by the finish. Reflecting after the ride I realise that I should have sat in and not worried about the pace. I could have easily grabbed some points if I’d ridden a little savvier. This however was only my second 3rd category race and I still have a lot to learn about this two wheeled sport. I’ll be entering more crits and even some races on the road which should be a lot of fun for 2016, and hopefully should be able to put my sprint to some use.